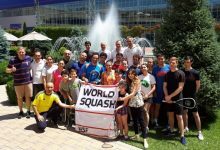 Mexican qualifier Cesar Salazar secured the biggest scalp so far in the PSA World Open in Rotterdam when he defeated England’s world No17 Adrian Grant on the second day of first round action in the premier PSA World Tour squash event of the year at Victoria Squash in the Dutch City of Sport. “It’s my best ever win,” said the jubilant Mexican. “Adrian is a good player and it’s a good victory for me. I worked back in the third game and he liked to play to the back but I started to play the ball quicker to the back and he started to tire in the fourth when I got to play some quick, intense shots. 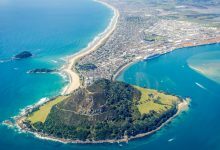 The victory was made all the more sweet as the world No59 had battled through two rounds of qualifying to make the first round where he joined his higher-ranked twin brother Arturo Salazar. But underdog Cesar has now progressed further, as Arturo was beaten in yesterday’s first round action. But the day was otherwise dominated by Egyptians – five of whom prevailed to join a further five who survived Sunday’s first round action in the top half of the draw. 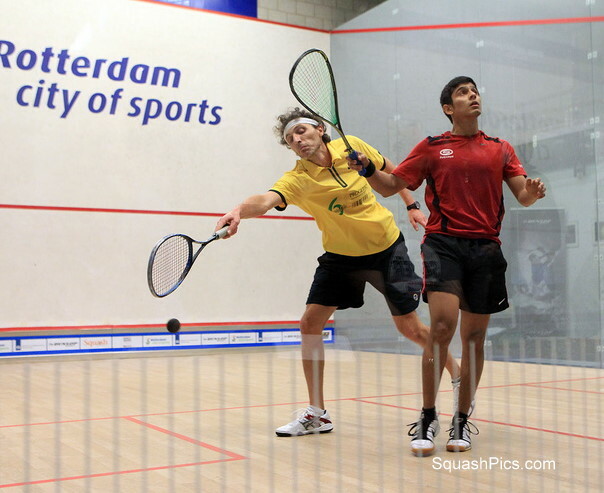 World junior champion Marwan El Shorbagy became the second qualifier to make the second round after his higher-ranked opponent Farhan Mehboob, the world No47 from Pakistan, retired injured after two games with the score at 11-6, 11-8 in the Egyptian teenager’s favour. “I’m very happy,” said the 18-year-old from Alexandria, the youngest player in the championship. “It’s only my first World Open, so reaching the second round is a very big achievement for me so far. I didn’t know about his injury, I only found out in the second game when he was hitting the tin a lot from the return of serve. 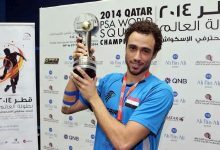 Marwan, whose older brother Mohamed El Shorbagy, the ninth seed, is also through to the second round, will now face England’s 11th seed Daryl Selby, an 11-2, 13-11, 11-7 victor over fellow countryman Adrian Waller. “I’ve not played Daryl before, but I’ve watched him a few times and hopefully it will be a good match,” concluded El Shorbagy junior. England’s James Willstrop successfully began his bid to reach the final for the second year in a row with an 11-8, 11-6, 11-7 win in 33 minutes over Hong Kong qualifier Max Lee. “It’s a bit of a cliche, but there are dangerous players and Max is one of most dangerous qualifiers,” explained Yorkshireman Willstrop, the world No4. “It’s a long week – we’ve got six matches, so to put in a performance like that early on is great from all points of view. Not only are you relaxed and winning 3/0, you’re conserving a bit of energy. “I’m really excited about every trip I’m doing at the minute,” added the 28-year-old from Leeds who was runner-up in last month’s Qatar Classic. “I’m just enjoying the tour and happy to be on court. It’s fantastic playing in atmospheres like this and fighting for your life in the World Open. You work hard all summer to be here so these are the experiences you have to enjoy. 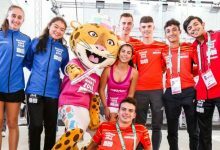 There was drama early in the evening session as Italy’s Davide Bianchetti, a game behind and at 12-all in the second against India’s Saurav Ghosal, argued sufficiently to get a conduct game awarded against him. Now two games down, the Italian continued to argue during the interval, and persevered with his comments to the officials as they were about to start the third, when the referee’s patience ran out and the match was awarded against him. 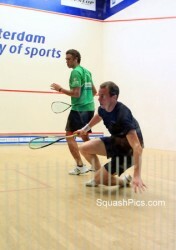 “No, I was not surprised by Greg’s performance,” the relieved Dutchman told the official event websitewww.worldopensquash2011.com later. “I haven’t had the chance to see him play a lot of matches recently, but still, I’ve looked at his results – he is a very good player, he trains with Greg (Gaultier), so I didn’t underestimate him for a second and although I was ready for him, still, I was in trouble. Twice a World Open runner-up, France’s Gregory Gaultier successfully began his bid to go further this year with an 11-4, 11-3, 11-6 victory over Dutch wildcard Dylan Bennett – and now goes on to face surprise opponent Cesar Salazar. 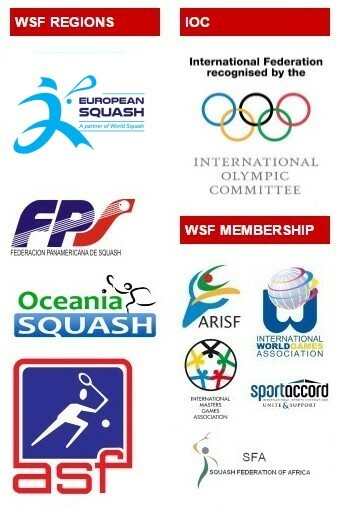 “The match was good,” said the world No6 from Aix-en-Provence afterwards. “I played Dylan, who qualified after winning a regional competition I think, so he was a wild card. He gave me a good game. “We spoke yesterday and he said he was going to try hard to give me a good run, and it was a really pleasant match. The World Open means a lot. It’s the biggest competition of the year so all the players are really up for it. Everyone is usually really fit at this time of the season too, after competitions and training. 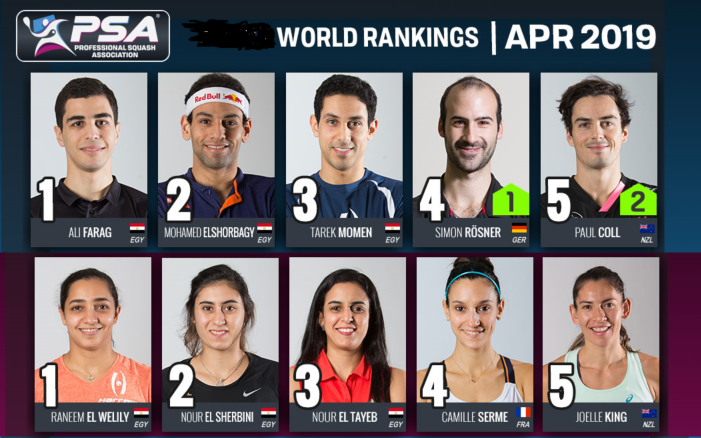 In the women’s WISPA World Open it was qualifying finals day, and three young Egyptians swelled the ranks of their compatriots already in the main draw. During a brief power cut two courts were still playable, so Gaby Huber completed her victory on one of those. “It wasn’t ideal going to a different court,” said the Swiss, “but it was the same for us both. 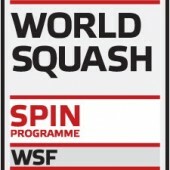 All the games were tough but I managed to play well enough to win and I’m really pleased to qualify in my first World Open. 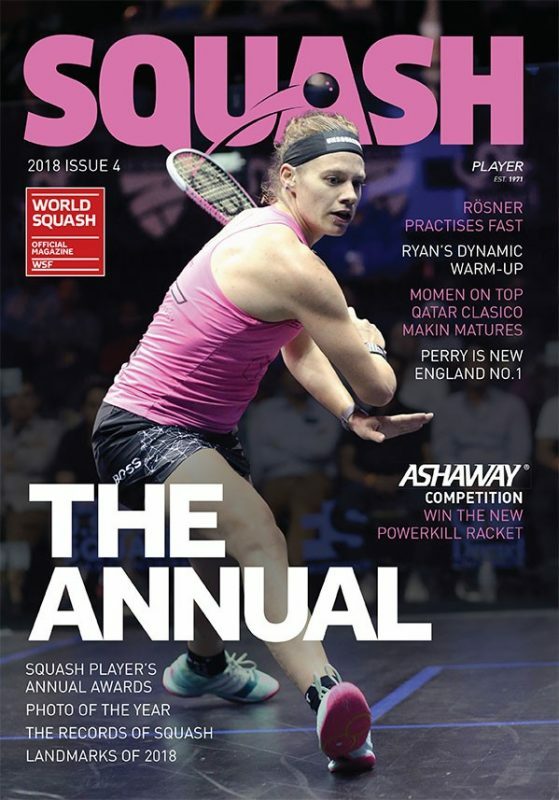 Lauren Selby was in no mood to offer Maud Duplomb birthday gifts, and after yesterday’s scare Nour El Sherbini – it’s her birthday tomorrow – looked in decent form as she beat Kylie Lindsay to a place in the main draw, the Kiwi glad to get a few points in the third after going 10-0 down. 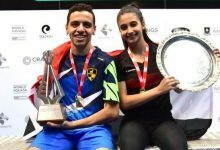 The evening session started with two up and down five game upsets as Mexican qualifier Cesar Salazar got the better of Adrian Grant in 68 minutes, while it took over an hour for young Egyptian Yathreb Adel to beat Victoria Lust in another hard-fought encounter. 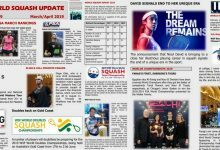 Shortly after Cesar’s best ever win came the same result for Wales’ Tesni Evans who temporarily halted the Egyptian advance with a 3/1 win over Heba El Torky. 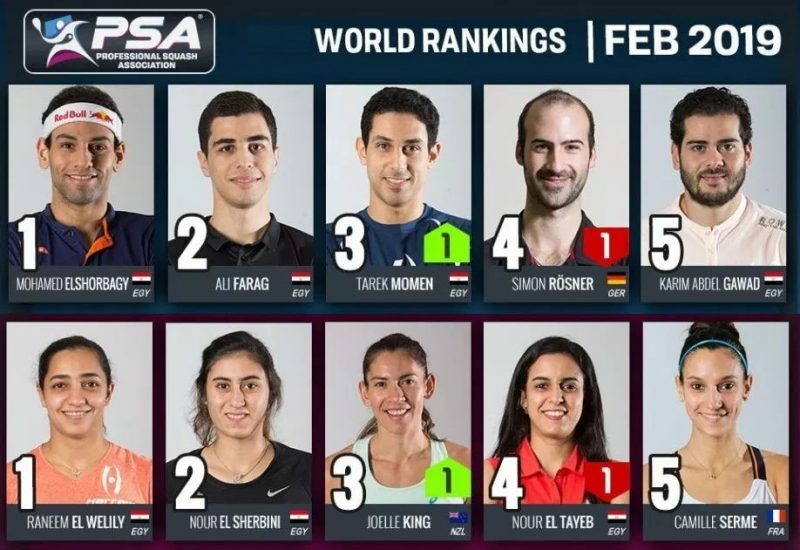 Kanzy El Dafrawy made it a hat-trick of Egyptian qualifiers as she beat Siyoli Waters in straight games to the delight of her new-found Dutch fans, and American veteran Latasha Khan grabbed the last spot with a fairly comfortable win over England’s Lauren Briggs.